Joomla is a very popular website builder and can be used to create any type of site, from a simple one-page product review site to a full on e-commerce site with masses of pages and products – or anywhere in between. Whatever the size or type of your Joomla site, there will be room for an RSS feed which will deliver live information and media about your favorite topic in a visual, text, sound or video format. FeedWind can be modified from our setup screen and for more advanced styling, by using a custom CSS. 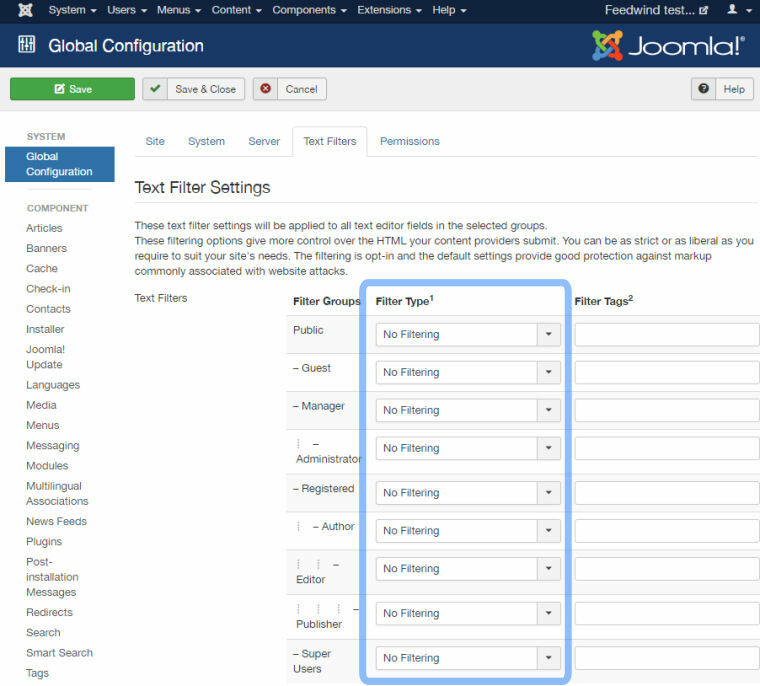 In addition, you may need to visit the Joomla Global Configuration page and ensure that text-filtering is not enabled for the you user group. Adding your FeedWind code snippet to an article is a simple paste action. 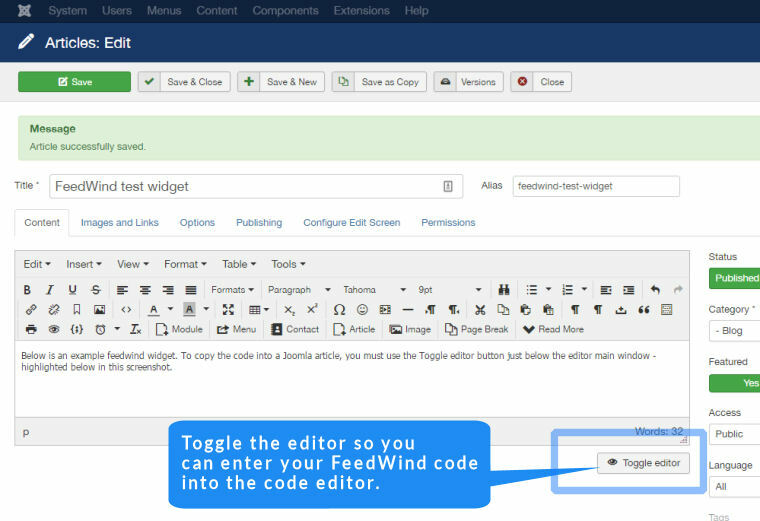 Before pasting, make sure you use the ‘Toggle editor’ button so you paste into the code editor, otherwise you will not see the widget on your webpage.